The data derived in the preceding analysis are used to complete the motion curves of fig. 2-30 for the 0.001 second interval during which the backplatc buffer acts. 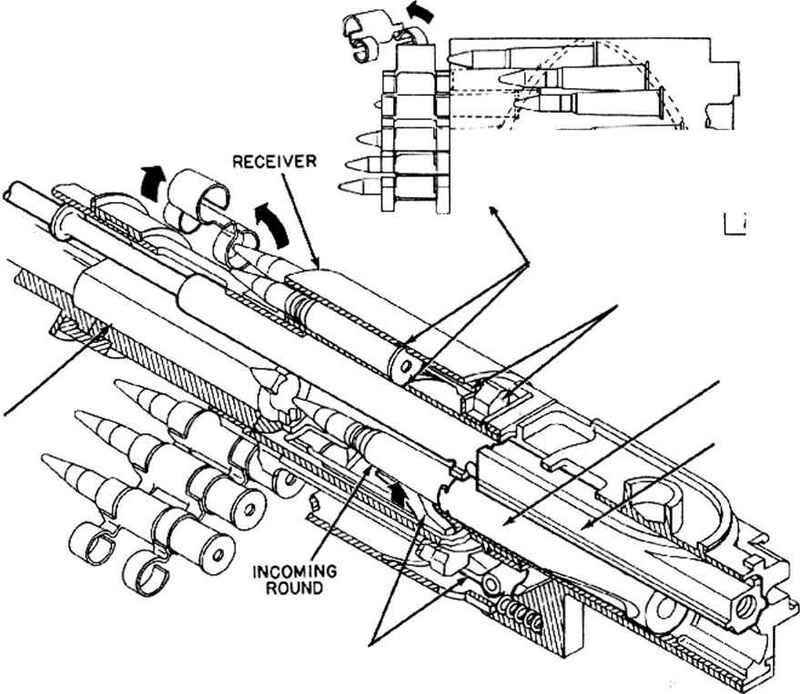 The holt leaves the backplate with a velocity of 36.0 feet per second, and as it moves in counter-recoil, its motion is aided by the compressed driving spring. This action will continue until the bolt reengages with the accelerator lever when the bolt displacement from the firing position is equal to 0.28 foot.